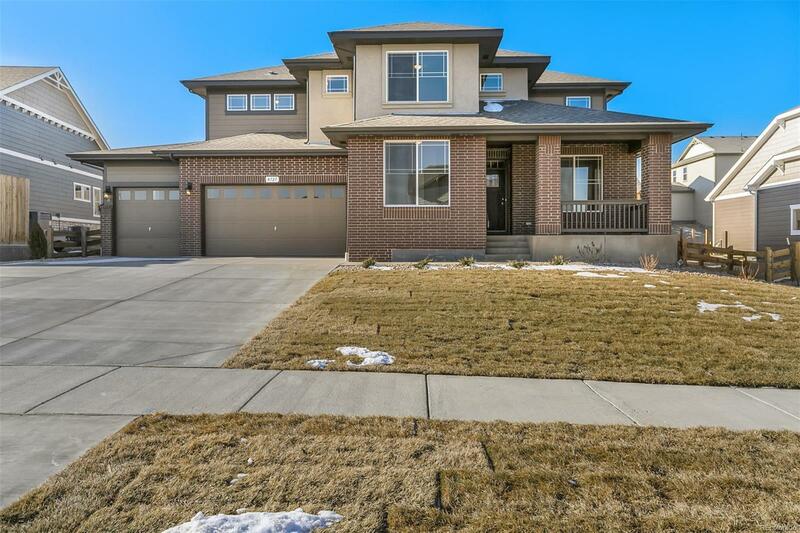 This beautiful 2 story home features 4 bdrms and 3 baths plus a 4 car garage! Plus a main floor guest bedroom and private study & gourmet kitchen family room combo! The master bedroom has a cozy fireplace and sitting room. Includes a large upstairs loft - perfect for kids to hang out with their friends! The community has plenty of walking paths so you can enjoy the natural open spaces. This quiet neighborhood is a quick drive to I-70 and the city. Includes Air Conditioning, front and back landscaping + full yard fencing. NEW HOME WITH 2-10 LIMITED WARRANTY.